Thank you so much for this wonderful review. Your love of stories – in all their forms – shines through your review and I really appreciate such a close reading of my book.I too devoured all those stories in the library as a child, and now I passionately believe in the idea that stories can help us find ways to live life. 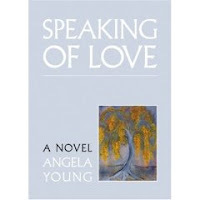 The four fables in SPEAKING of LOVE were the easiest parts of the book to write, probably because all that childhood reading has so embedded those kinds of stories in my psyche that when I came to write some of my own, they swam from my unconscious as if they’d just been waiting for me to ask them to come.Thank you again for such a thoughtful review. Excellent review! It sounds very, very good.